If you are undergoing IVF treatment or considering beginning the process, specific clinic success rates are probably of the utmost importance to you. After all, you do want to know what affects success rates and the kind of factors to take into account before making a decision. There’s a lot of information on the internet about IVF and success rates which makes interpretation of the information often very difficult and confusing. Let’s go over some of the information in an attempt to dispel some of the misconceptions. You may see infertility as the same from couple to couple, but in reality there are many different causes – and each person/couple will respond differently to an IVF treatment. Many people when looking at a clinic’s success rate are likely to consider a success rate of around 25-30% a “low” success rate. This is most likely because people think that couples not seeking IVF treatment have a near-100% chance of conceiving within a few months. But let’s take a second and analyze the numbers. Couples (female age under 35) without fertility issues have a 15-20% chance of conception during any one month. That means that, at best, they are 20% likely to see a “success” – a successful pregnancy, in other words. If you keep this in mind and then consider an IVF success rate of 25-30%, it suddenly doesn’t seem quite so bad, right? It’s so easy to get lost in all of the information, but it’s important to keep things in perspective when thinking about IVF treatment success rates. The same couple would have an expected 80% chance of conceiving within a 12 month period (cumulative chance). Another myth to lay to rest is that the only factor impacting the success of an IVF treatment is the age of the female patient in question. While age is certainly an important factor, it is by no means the only one that helps determine a successful cycle. Female Age. Even though there are many factors that influence the success of IVF treatment, it is still important to note that one of the most important is female age. And whilst female age is an important factor to take into consideration, it is not the only factor to take into account – and that can be either good or bad news depending upon your perspective. In general, women using their own eggs to become pregnant can be divided into three main groups of success rates. The first category pertains to women from ages 24 to 30. During this time frame, women have about a 40% chance of becoming pregnant each time they have an embryo transferred. Once a woman turns 30 to 31 years of age, the chance of success begins dropping. By the time women reach around 40 years of age, their likelihood of a pregnancy is less than 15% and even if they do become pregnant at this age, there is a higher risk of miscarriage. Egg Quality. Infertility caused by tissues with Egg quality is an example of a vitally important factor that can greatly impact IVF success: as a large proportion of the quality of an embryo comes from the egg, which means that lower quality eggs may yield embryos less likely to survive. Reproductive History. 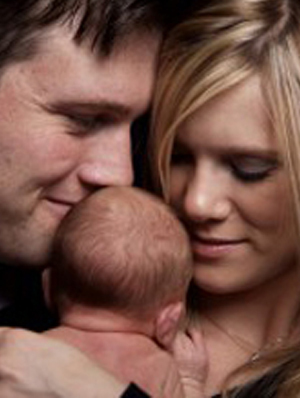 Reproductive history also plays a big role in the outcome of an IVF treatment. If you suffer from issues like recurrent miscarriages, for example, your chances of success might be lower than someone who has had live births in the past. Someone who has already demonstrated the ability to successfully carry a child to term is likely to have a better chance of success, although once again, it’s important to take into account the different factors that influence that success rate. Each of these factors play a role in any couple’s ability to get pregnant and every couple is different. These are only a few of the many factors that can impact the success of an IVF treatment, but they are each very important in predicting a successful outcome. The decision to pursue IVF treatment is not an easy one, that is particularly true when taking into account the time, money, and emotional as well as physical investment that is required. For this reason, it’s important to understand your chances of success and make an informed decision regarding pursuing IVF treatment whilst setting yourself realistic expectations. ongoing pregnancy rates per fresh embryo transfer? You can see that interpretation of IVF success rates can be very tricky indeed. The most important thing is to take the time to consult with doctors who understand your situation and who are willing to work with you so that you are making an informed decision. We have published our most recent success rates and welcome your questions at 1300 FERTILITY. If you would like to get started, we offer a free consultation where you can get all of your questions answered and see if fertility treatment is right for you.